MIAMI GARDENS, Fla. – South Florida’s only historically black college and university will soon be under new leadership. The Board of Trustees of Florida Memorial University (FMU) announced the appointment of Jaffus Hardrick to serve as the university’s interim president. Hardrick, who currently serves as an administrative official with Florida International University (FIU), will assume his new duties on July 16, replacing Castell V. Bryant who previously served in the position. “We sincerely appreciate the service of Dr. Bryant during her time with us,” said FMU Board Chair JoLinda L. Herring, Esq. 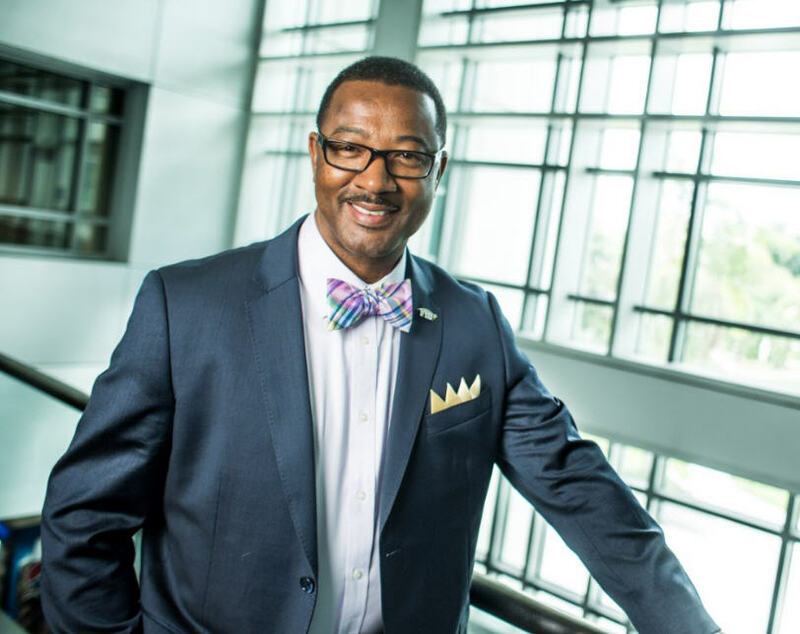 Prior to his recent appointment as interim president, Hardrick spent 10 years at FIU where he served as both vice provost for student access & success and vice president for human resources. While at FIU, Hardrick has been credited for providing innovative leadership, helping to promote student success and developing strategic community relations for one of the nation’s top 10 largest universities. As an award-winning university executive, Hardrick has also contributed to educational policy and practices – both on a national scale and to local communities – through his service on various boards and advisory committees, including the Florida Education Fund, College and University Professional Association for Human Resources, Society for Human Resource Management, Greater Miami Chamber of Commerce and 100 Black Men of America Inc.
(More) FMU 2 Hardrick received his doctoral degree in educational administration from Baylor University and his master’s degree in education in counseling from Prairie View A&M University. He also attended the University of Louisiana at Lafayette where he received his bachelor’s degree in sociology. Hardrick is a member of Alpha Phi Alpha Fraternity Inc. Founded in 1879, FMU is a private, historically black institution that offers nearly 30 undergraduate degree programs, nine concentrations and three master’s degree programs to a diverse student body. The university is located in the City of Miami Gardens and is accredited by the Southern Association of Colleges and Schools.